When it comes to muscle growth there are intricate details that are worth knowing. 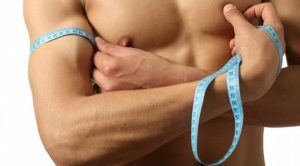 When it comes to muscle growth, there are two forms that you should be wary about if you’re trying to achieve gains – hypertrophy and hyperplasia. Hypertrophy is essentially an increase in the size of the muscle due to an increase in the size of the muscle fibers. Hyperplasia is known as an increase in the number of overall muscle fibers in the designated area. Hypertrophy typically comes in two forms – sarcomere and sarcoplasmic. Sarcomere refers to an increase in the overall size of the contractile muscle while sarcoplasmic is an increase in the non-contractile portion of the muscle. When you train with heavy weights, you’re going to feel more pumped due to the stress of the weight on the muscle, whereas lighter weights will make your muscles feel softer. If you are looking for an increase in your performance, then look into sarcomere hypertrophy. On the other hand, sarcoplasmic hypertrophy is beneficial to you if an increase in body weight is more important than your performance levels. While the process of muscle growth is still under study, many theories are based around the idea that lifting tends to break down the muscle, and the growth results from over-compensation to protect the body from future stress. Remember, the body breaks down and rebuilds all of its muscles every 15 to 30 days. When you are lifting and working out, it speeds up this process due to your body’s increasing need for fuel. This entry was posted in Fitness and tagged growth, muscle. Bookmark the permalink.